Beautiful soft cowhide in a hand turned rosewood handle, this pair is as beautiful as it is versatile. 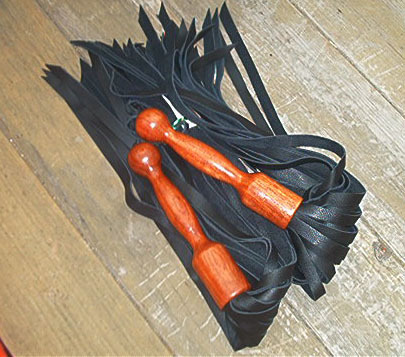 The leather is a soft cowhide and it can range from sensual to hard depending on how you use it. Cowhide gives the most variable sensations. You'll love to own this set.